This is a course for those who currently hold an SMSTS certificate. Refresh your skills and update your knowledge on current legislations and guidelines. This course is suitable for those who currently hold CITB Site Management Safety Training Scheme certificate. 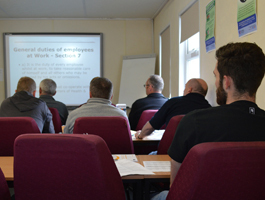 To allow you to maintain and update their current Health and Safety knowledge including new legislation. You will receive an industry recognised CITB Site Safety Plus certificate that is valid for five years. This course might be eligible for CITB grant. Please click here for more information.